This package includes 4 online training courses and is designed to give advanced PHP programmers a solid foundation in the higher structures of PHP, Security and an introduction to Zend Framework. 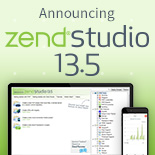 Save $1097 and get FREE copies of Zend Studio and Zend Server Developer License! 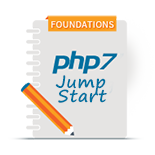 This package is designed to give advanced PHP programmers a solid foundation in PHP and PHP best practices. Designed for intermediate PHP developers, PHP Fundamentals II enables developers to further advance their professional skills in the PHP language and adopt industry best practices. It utilizes a hands-on approach led by an experienced instructor with numerous examples and practical exercises based on real life software development practices to enhance the hands on learning experience. For the entire class outline, objectives, audience and prerequisites, please click here. Security is paramount when developing applications for the web. The best way to achieve a truly secure web application is to build that application with security in mind from the start. In this course, we investigate common mistakes and failing in web security, and teach you how to build truly secure web applications from the ground up. For the entire class outline, objectives, audience, and prerequisites, please click here. 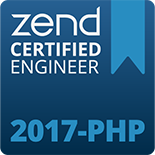 This Test Prep: Zend PHP Certification course prepares experienced PHP programmers for the challenge of passing the PHP certification exam and achieving the status of Zend Certified Engineer (ZCE). Designed for intermediate PHP developers, PHP Fundamentals II enables developers to further advance their professional skills in the PHP language and adopt industry best practices. It utilizes a hands-on approach led by an experienced instructor with numerous examples and practical exercises based on real-life software development practices to enhance the hands-on learning experience. Learn how to leverage the power of Zend Framework to build well-designed, scalable, and secure web applications quickly and competently. Zend Framework Fundamentals I is designed for intermediate to advanced PHP developers, who have a solid foundation in the PHP language and object-oriented programming. This is an introductory course and assumes no previous Zend Framework experience. Zend Studio is the only Integrated Development Environment (IDE) designed for professional developers that encompasses all the development components necessary for the full PHP application lifecycle. Through a comprehensive set of editing, debugging, analysis, optimization, database tools and testing Zend Studio speeds development cycles and simplifies complex projects. Zend Server is an enterprise-ready web application server for running and managing PHP applications that require a high level of reliability, performance and security. Zend Server contains a complete, well-tested PHP stack, which cuts the time traditionally spent on tracking, installing, configuring and testing PHP libraries and drivers. Built-in caching and acceleration ensure your PHP applications are delivering optimized performance, and integrated application monitoring and diagnostics enable you to quickly detect, isolate and resolve any failures or performance bottlenecks. Zend Studio and Zend Server are designed to work together, streamlining the development process. 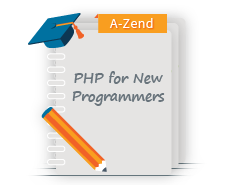 From Zend Studio, PHP scripts can be deployed onto a local Zend Server. Then after deployment time, Zend Server monitoring captures debugging and root cause analysis information for use in Zend Studio.